Coca-Cola keeps its recipe in a vault in Atlanta, Georgia, which is supervised by guards 24-hours a day. But a website has stongly claimed it has discovered the soft drink major’s official recipe. The ingredients of the drink, founded by Dr. John S. Pemberton, a medicinal pharmacist in 1886, have always been a mystery and unreplicable too. However, thisamericanlife.org has now made the recipe public. “We think we may have found the original recipe. And to see if the formula actually might be Coke, we made a batch. Or, anyway, we asked the folks at Jones Soda and Sovereign Flavors to whip up some up, to see if it tastes like Coke,” it says. “The formula for Coca-Cola is one of the most jealously guarded trade secrets in the world. So we were surprised to come across a 1979 newspaper article with what looked like the original recipe for Coke. Talking to historian Mark Pendergrast, author of For God, Country and Coca-Cola, we were even more surprised when we found reasons to believe the recipe is real.” The recipe is here. Coca-Cola was India’s leading soft drink until 1977 when it left India after the government ordered the company to turn over its secret formula for Coca-Cola and dilute its stake in its Indian unit as required by the Foreign Exchange Regulation Act. In 1993, the company (along with PepsiCo) returned after the introduction of India’s liberalisation policy. Coca-Cola was invented in May 1886 by Dr. John S. Pemberton in Atlanta, Georgia. The name “Coca-Cola” was suggested by Dr. Pemberton’s bookkeeper, Frank Robinson. Coca-Cola was first sold at a soda fountain in Jacob’s Pharmacy in Atlanta by Willis Venable. During the first year, sales of Coca-Cola averaged nine drinks a day, adding up to total sales for that year of $50. Since the year’s expenses were just over $70, Dr. Pemberton took a loss. Today, it is claimed that products of The Coca-Cola Company are consumed at the rate of more than one billion drinks per day. Next Will Pakistan actuate a full-blown Sino-US war! 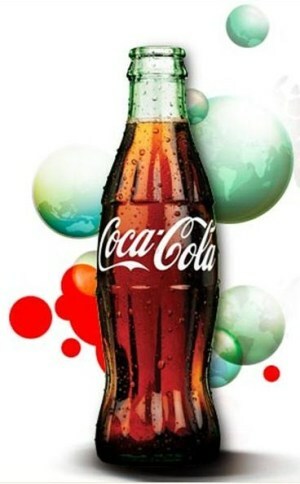 Not quite sure if it is the real one as Coca-Cola recipe is one of the most sought after and guarded secret. Even if it is the real one, from what I know, there have been changes to the original recipe.